“Eye Area” means the area around the eyes. Which is the area from the brow to eyelids, lashes, eyeball and area just under the eye. Color additives must be SPECIFICALLY approved for eye area use. “Cosmetics Generally” means the color additive may be used in any type of cosmetic, except those for eye area use. Colors for “cosmetics generally” may or may not also be approved for the eye area. “External Use Only” means cosmetics applied anywhere on the outside of the body, but not areas covered by mucous membranes (lips, nostrils, ears and genital area). And not eyes. Colors for “external use only” may or may not also be approved for the eye area. Some color additives may have other specific limitations (i.e. “hair on the scalp” or “fingernail polish” or “not to exceed .01%”). “In-bath products” include cosmetic products such as bath oil, bubble bath, bath fizzies or bath bombs – many of which are colored. That brings up the question of what color additives may be used in in-bath products. According to the definitions above, any color additive for in-bath products must be approved for “cosmetics generally.” Color additives approved for “external use only” would not be acceptable for in-bath products because the color additive would come in contact with the genital area. “The FDA has determined that color additives that are approved for external application may be used in in-bath products because of the limited potential of exposure to the color additive. “In early 2007 there was conflicting information on the FDA website about which color additives could be used in bubble bath products. The author queried the FDA and received the information included here as their official determination on the subject. The FDA website was subsequently corrected. Unfortunately, I cannot find my email exchange with the FDA on this – it’s probably in a paper file, in storage. And the FDA website has been thoroughly changed since 2007. I checked the current FDA website and the Internet Archive (archive.org), and couldn’t find the statement being referred to. I KNOW it was there – I was so excited to see that the FDA had updated the site after my correspondence with them! But now I can’t find it. So, although I know I did have that documentation, I don’t have in hand anything to prove that they said that “color additives approved for external application may be used in in-bath products because of the limited potential of exposure to the color additive.” Of course, it’s also possible that they changed their mind on it since then. What’s the best bet here? Yes, this is going to limit the number of color options, but it will also ensure compliance with the regulations AND will give that little bit of added security and safety to your customer. Since the FDA’s statement to me was based on “limited exposure” … you have the option of protecting your customer from that possible harmful exposure – no matter how little – by eliminating the “external use only” color additives from your in-bath products. It may look like a lot, but there are still over 25 color additives that are approved for “cosmetics generally”! Thank you Marie! I know it was there also. I personally spoke to the head of color certification and was told it was ok to use the external colors in bath products also. There are large manufacturers that use some of them, red 33 in particular. I called again, and was told by the same person that technically it was not ok, only because they had not had a request to re classify these colors for that purpose. It would be nice to have clear cut guidelines in for people to follow in easy to read terms and not legal mumbo jumbo. Thank you for all your hard work in putting out your informative books that make it easier for everyone to stay compliant! So why are neons not aloud? They say general cosmetics but I am being told not ok for bath bombs. Of the colors listed in the quote above, Orange 5, 10 and 11 are allowed for external use only. Red 21, 22, 27 and 28 are approved for general use. In order to fully answer your question, I’d need to know exactly what “neons” you are referring to and what the ingredients are. If you have the ingredients, you can look them up on the FDA site to see if they are allowed for general use (and not just external applications). Why is something like Red 33 not allowed in bath bombs when it IS allowed, in certain amounts, in products that touch mucus membranes (lips, mouthwash, etc)? That one confuses me the most. I understand if a product can’t be used on lips, that it can then not be used in any product that may come in contact with mucus membranes (I don’t necessarily agree, but I understand). But Red 33, as an example, CAN be used on lips. Why do some colors have exceptions for certain mucus membrane areas but are not allowed in other areas? Honestly, I have no idea how the FDA determines the safety and the acceptablke uses (and amounts) of color additives. Honestly I’m not sure the FDA has any idea how they determine the safety and the acceptable uses (and amounts) of almost anything. I expect they do have an idea (and all kinds of procedures) to determine the safety and acceptable useage and amounts of ingredients … but they have been called into question in the past! The problem is that it takes SO long to make any official changes! So what about herbs that also color? For example spirulina in a bath bomb? Can it be used to color the product but just not listed as a “colorant”? Thank you! When an herb also colors, it falls under “is capable of coloring the product” so it IS a color additive. That means it is subject to all the regulations and may only be used in a cosmetic if it is approved for that use. Then it may be used – because it’s NOT a color additive. Thank you for clarifying Marie! Your following blog post re: #2 was helpful too. So is there an exclusion for products that are already approved for ingestion? So in the first question I used the example of spirulina so I’ll just stick with that for consistency. Spirulina is an approved food item. Since it is considered “safe” to be ingested could it also be considered safe for in-bath products? Thank you! There isn’t any standard for “safe” for cosmetics or in-bath products. It’s up to YOU to determine if the product is safe. It is a pretty good bet that if an ingredient is safe for ingestion it is safe for in-bath use … but not always. Spirulina should be okay, I would expect. But, remember that is for an INGREDIENT …. not for a COLOR ADDITIVE. If you are using spirulina as a COLOR, it is illegal because spirulina isn’t approved to be used as a color additive. It’s a fine distinction, but keep it in mind. 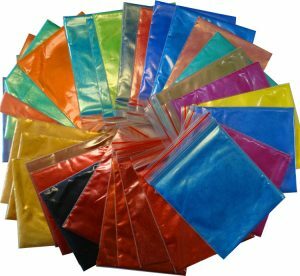 What about Wholesale Supplies Plus Neon Electric Slide Yellow? The ingredients say polyester 3 and yellow 5 none of which is on the list to stay away from. It also states on the website that it is safe to use in bath water. Can you please give me information about this product is it safe to use in bath products? The WSP product description states that the ingredients are “Polyester-3 and Yellow 5” and that it is approved for use in cosmetics, but not for eyes and lips. The FDA website for approved color additives for cosmetics shows that FD&C Yellow 5 is approved for cosmetics, INCLUDING eye and lip products. BUT Yellow 5 typically isn’t considered a “neon” color. According to the FDA page on Novelty Makeups there are only a few approved neon colors – one of which is Yellow 7 (not 5). Yellow 7 is only approved for external use (so no eyes or lips). This article from Nurture Soap has a good explanation as well, including info about the use of polyester-3. Finally, both Yellow 5 and Yellow 7 require FDA certification. If a larger package is opened and then repackaged, then the product requires re-certification. There is a list on the FDA website of companies that have applied for color certification(s) during the past two years – Wholesale Supplies Plus isn’t on the list. There appears to be some contradictory information. You might want to check with WSP and make sure the color is a) actually a neon yellow, b) whether Yellow 5 or Yellow 7 is used, and c) if it has been batch certifed (in it’s repacked state).